Before he “suspended” his campaign, Marco Rubio flirted with being a comedian by insulting the master of insults, Donald Trump. A critical part of any personality-driven show is placing Easter eggs in the program. These are little, unexpected (but planned) moments that keep those listening intrigued and paying attention. 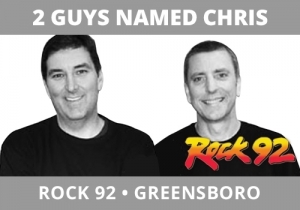 Two Guys Named Chris, Rock 92, Greensboro, NC get this concept and excel at it. Chatting about Rubio and wondering out loud if he had hired a joke writer, they magically moments later heard from the Florida senator, who regaled them with some of the one-liners recently written for his stump speech. This was just before Rubio bailed from the race so it was in the moment. Everyone knows this is a farce, which makes it even better. Shows must have these little unpredictable moments built in to keep fans laughing and create an impression of unpredictability. Enjoy the break with how they introduced the topic and walked to the moment when “Rubio” called in.